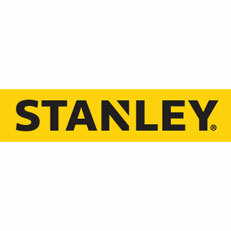 Stanley’s wide range of products includes professional builders tools (FATMAX), industrial tools, mechanics tools, air tools, hydraulic tools, fasteners & fastening equipment (Bostitch), and of course the hardware that first made Stanley famous. As part of the worldwide Stanley group Sidchrome continues to be an innovator and supplier of leading edge products. With the support of Stanley’s global engineers, designers and state-of-the-art factories, Sidchrome is equipped to effectively meet the specific hand tool requirements of the 21st century mechanic. Whether they be in an Industrial or Automotive environment Sidchrome’s extensive range includes: Large Tool Kits, Socket Sets, Spanner/Wrench Sets, Air Tools, Sockets & Socket Accessories, Spanners & Wrenches, Pliers, Hammers, Punches & Chisels, Screwdrivers & Hex Keys, Tool Storage Products.